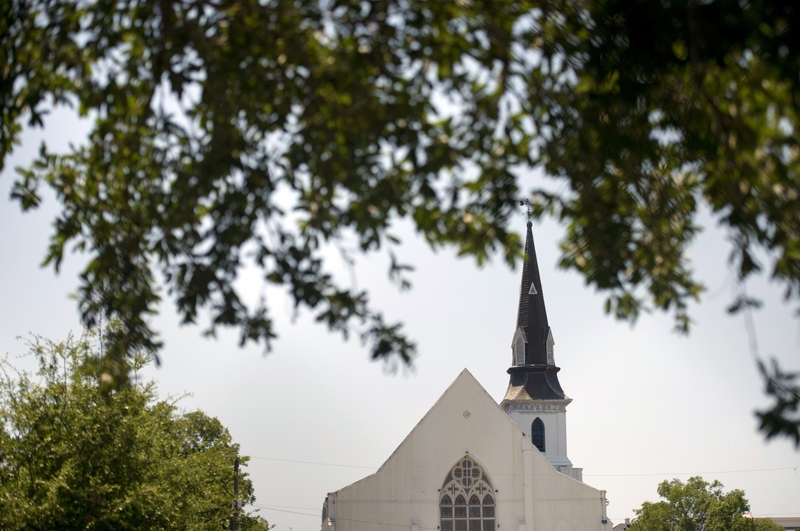 The Charleston Emanuel Church goes by another, more affectionate name: Mother Emanuel. And for good reason — it's an original symbol of progress in the South. The African Methodist Episcopal church, according to its website, first came together under the leadership of Rev. Richard Allen in 1816. Allen and 16 other representatives helped start the church after at St. George's Methodist Church in Philadelphia. But this place of history became a site for tragedy last night after nine people, including the congregation's respected pastor and former South Carolina state senator Clementa Pinckney, were shot and killed by a gunman who has allegedly been identified as 21-year-old Dylann Storm Roof. But despite this event, the church has been an important landmark for progress across the history of time. Emmanuel was founded by Morris Brown in the mid-1800s and is the oldest of its kind in the South, reports The Washington Post. In order to create a more welcome community for African-American people of faith, the church — the current building was built in 1891 — came to be a site for anti-slavery activism, offering secret, underground worship services until after the Civil War, according to Time. And with his statement, Pinckney was only just touching on the historical value of his home church. Since its founding, the church has also been a place that caused tension during the civil rights movement, and it's secret . This distrust might have had much to do with the church's founding and original founders, Denmark Vesey, whose activism for the freedom and uprising of African Americans led him and his organizers to plan a revolt scheduled to take place in June of 1922. But a slave named George Wilson revealed Vesey and his plan and, Vesey, along with three dozen organizers, were executed, according to The Washington Post. This planned revolt caused a further uproar, when the building was burned to the ground. And in 1886, the structure itself fell victim to a natural force of destruction when it was destroyed during an earthquake, according to a timeline provided by NPR. The current structure rose again in 1891 when it was rebuilt, in a Gothic Revival style structure made of stone. The church was later redecorated in 1951. And the people who have stood at the altar are just as impressive as the building and its many lives. Booker T. Washington gave a speech at Emanuel in 1909. He spoke about the "racial climate of the city and the country as a whole," according to Essence.com. Later in the 20th century, and on the same note of progress and equality, Dr. Martin Luther King, Jr. spoke at the head of the church, where Essence says he spoke of "making the American dream a reality." In 1969 following her husband's assassination, Coretta Scott King led a march to advocate for higher pay for hospital workers, according to GPB News. Their point of departure was Emanuel Church. And now, in 2015, the church has to survive yet another hardship in the form of this shooting. President Obama reflected on this Wednesday, when he addressed the event that unfolded Tuesday night. "Any death of this sort is a tragedy, Obama said in his statement. "Any shooting involving multiple victims is a tragedy. There is something particularly heartbreaking about a heady happening in a place where we seek solace and peace, in a place of worship." This tragedy has caused pain in historic Charleston, where one church has long stood as a symbol of change.